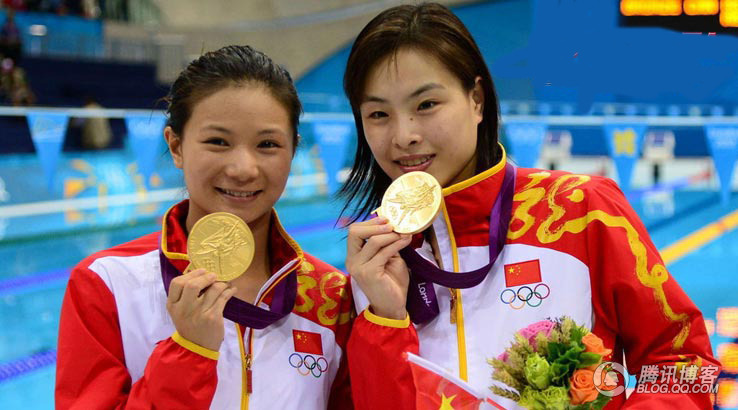 Last weekend, Wu Minxia, my twin sister from Shanghai, was awarded a gold medal in the women's synchronised 3m springboard diving event, with her teammate He Zi. This is the 3rd time Wu achieved an Olympic Gold in her career; this is also her 5th medal in the Games. Wu is the 1st Chinese athlete in Chinese Olympiad history, to earn Golds in the same event for 3 consecutive Games. She is also one of the greatest Chinese divers in history. This Sunday (my Monday morning actually), she will be jumping for her 6th medal in the Olympic games. Being the number one diving athlete alive in this planet, I have confidence she will earn herself an individual gold. 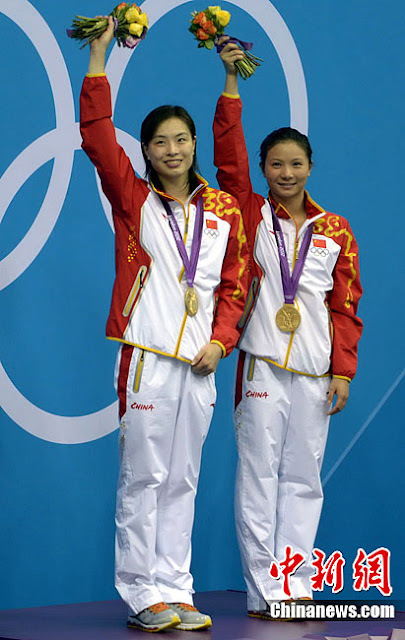 If so, she will be the best Chinese female diver ever, better than FU Mingxia and GUO Jingjing, or any of those names! Note: I do not own the right to publish these pictures. But I'm too in love with Xiaxia to act sensibly. Sorry. I acquired the stuff below when they were having the BIG sales few weeks ago. Items were reduced to 5 pounds or 10 pounds or so. Hence I managed to make a relatively big order. Medium Pencil in Torment and Manic. Fat Pencil in Perverse, Fickle and Wilful. Concealer in CC210. Under Eye Concealer in UC200. Liquid Metal in Stoic. Cream Eye Shadow in Intrude, Outcast, Love. Cream Blusher in Betray and Devour. Sheer Lipgloss in Tantrum, Kindle and Electrify. Loose Powder in LP210. Pressed Powder in PP325. Powdered Metal in Bebhionn and Thalia. Nail polishes in Strike, Elope, Propaganda, Whack, Snap and Bacterium. You may wonder why this Illamasqua 'haul' will appear together with my I-Love-Wuminxia post. 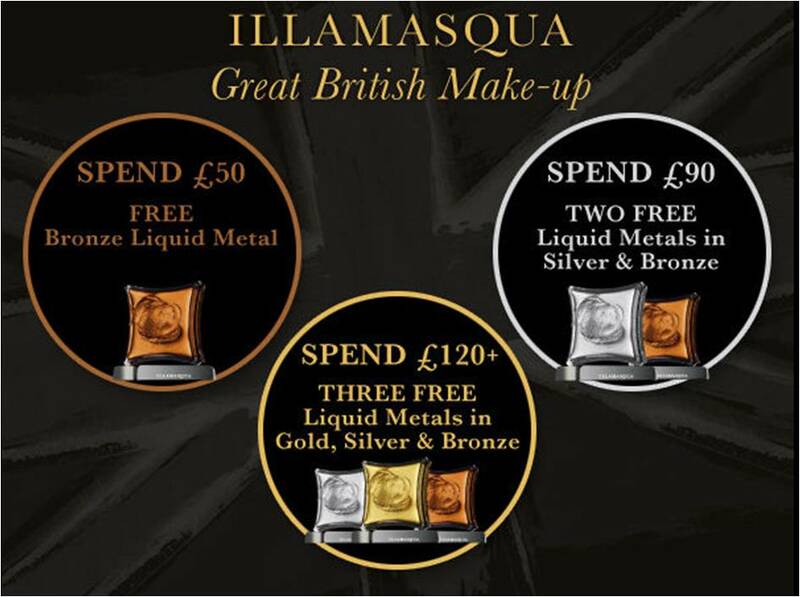 The reason is simple, is because London is hosting the Olympics + Illamasqua is from the Great Britain. Happy Olympic Games! Are you watching the games? What is your fav sports to watch? Any athlete(s) worth mentioning???? @littlehappyheaven, you just reminded me to bring out hussy to wear! :) their cream and powder blushes are indeed amazing, go try 1 or 2!